Selling A House Has Never Been Easier! Sell Your House Today! We Buy Houses Modesto, California! Regardless of the Condition, Price Range, Or Location, We’ll Get Your Home Sold Fast! Would you like to sell your Modesto property in “As-Is” condition. There are no fees and you’ll receive a fair cash offer! Trying to get rid of an unwanted property can feel like a serious burden. We can take the load off of you by making you a fair cash offer for your Modesto, CA home – as is. How quickly can we make it happen, you ask? You could have a check in your hands in as quickly as seven days. And We GUARANTEE Our Offer. It doesn’t matter if you’re upside down on your mortgage, have bad rental tenants who’ve torn your house to shreds, or need to sell quickly for any reason. Regardless of the reason you’re selling or the state of your property, if you need to sell it, we’re ready to make you a fair cash offer. In a Hurry to Sell Your House? 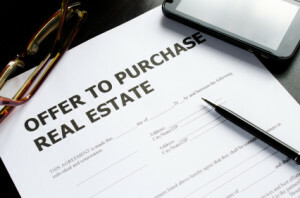 Offering a fair cash offer right away is how we buy houses Modesto. All you have to do is contact us today! You’ll be surprised how quickly you have cash in your hand. If you’re in a hurry, you don’t want to do things to happen that might slow you down. Hiring a real estate agent to sell a hard-to-sell home or one that needed to be sold yesterday, can often lead to pitfalls. From the cleanup and repairs to the never-ending paperwork, there’s so much that goes into the process. Not to mention all the things that can delay a sale. There’s a lot of going back and forth between the buyer and the agent. Retail buyers can pull out of a deal at the last second, and bank loans can fall through. Bottom line is, it can take up a whole lot of your precious time. And even though you avoid agent fees, trying to sell it yourself isn’t much better. If you want to bypass much stress and save yourself loads of time, we are here to offer you a better way. We can close in as little as seven days. How do we buy houses so quickly? Well, we buy houses in Modesto, California with cash and don’t have to rely on traditional bank financing. Sell Your House Fast Modesto – We Buy Houses In Modesto and other parts of California including Los Angeles, Ventura County, Bakersfield, Inland Empire, Fresno, the Bay Area and more! Quick Home Offers is Modesto, CA cash house buyer. We never charge any fees, and there are no obligations! It’s the easiest way to sell a property, guaranteed!